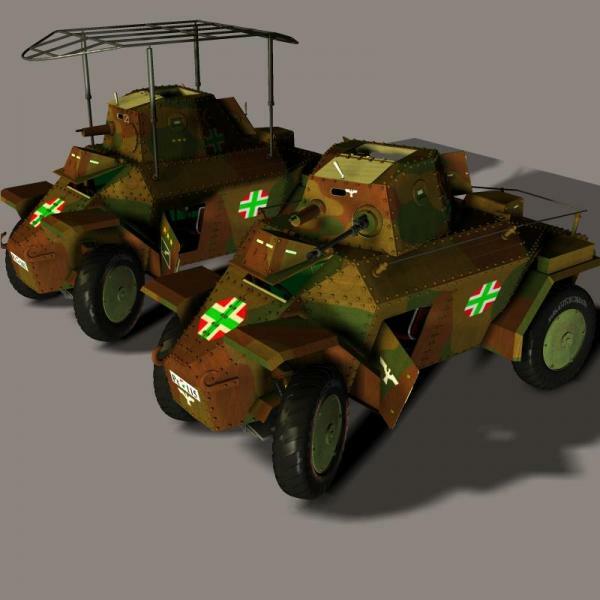 This is a set of armoured scout cars for Poser used in WWII by Hungarian Army. This set contents an armoured scout car and an armoured scout car for commanders. malowarrior (5 years ago) Inappropriate? ...so cool..all of your tanks... Thanks for sharing ! Papus, excellent work once again, many thank yous !!!!! Brilliant!!! Stunning work as always. Build and textures are excellent and the interior is superb. Thank you, Cheers!! !